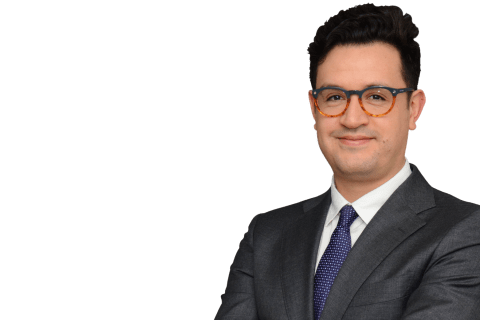 Associate Andrés Lema Sanz-Guerrero (Paris-International Arbitration) was recently appointed to serve as member of the ICC Commission on Arbitration and Alternative Dispute Resolution for Bolivia. Comprised of around 1,000 members from 92 countries, including lawyers, in-house counsel, arbitrators, mediators, academics and experts, the ICC Commission on Arbitration and ADR is a think tank and rule-making body that aims to adapt the ICC’s framework to the latest legislative and technological developments and meet the evolving needs of practitioners. Members are appointed by an ICC regional office and meet twice a year to discuss and approve proposed rules, reports and guidelines. Other Shearman & Sterling lawyers sitting on the ICC Commission on Arbitration and ADR include newly promoted London-based partner Ximena Herrera-Bernal (for Colombia), Hong Kong-based partner Nils Eliasson (for Hong Kong), Paris-based partner Jennifer Younan (for Australia), Washington, D.C.-based partner Jonathan Greenblatt (for the U.S.) and Paris-based associate Anna Guillard Sazhko (for Ukraine). Members of Shearman & Sterling’s International Arbitration team are regularly called upon to participate in the work of the ICC. These include partner and Head of Public International Law Yas Banifatemi who serves as Vice-President of the ICC International Court of Arbitration; New-York-based partner Henry Weisburg, who participated in the Task Force on the Revision of the ICC Rules of Arbitration; Nils Eliasson, who is part of the Task Force on Decisions as to Costs; Paris-based partner Coralie Darrigade, who is a member of the Task Force on Emergency Arbitrator Proceedings; and Jennifer Younan and London-based senior associate Margaret Clare Ryan, who are part of the Task Force on Maximizing the Probative Value of Witness Evidence.